Antalya is Turkey's second most visited destination and a city set to break tourism records this year with over 14 million visitors expected to grace its shores. Often referred to as Turkey's tourism capital, Antalya speaks for itself, it's a cosmopolitan city that needs little promotion. But, rather than simply bask in popularity and repeat business, Antalya pushes forward, constantly developing and changing to meet tourist demand. With the new Boğaçay Creek marina planned and an award-winning coastal project already underway, Antalya is a location that's understandably stirring investor’s interest. Russians, Europeans, Brits, Arabs and Americans are all keen to own their slice of Antalya, and buying a property in the area is a lot more affordable than you may think. 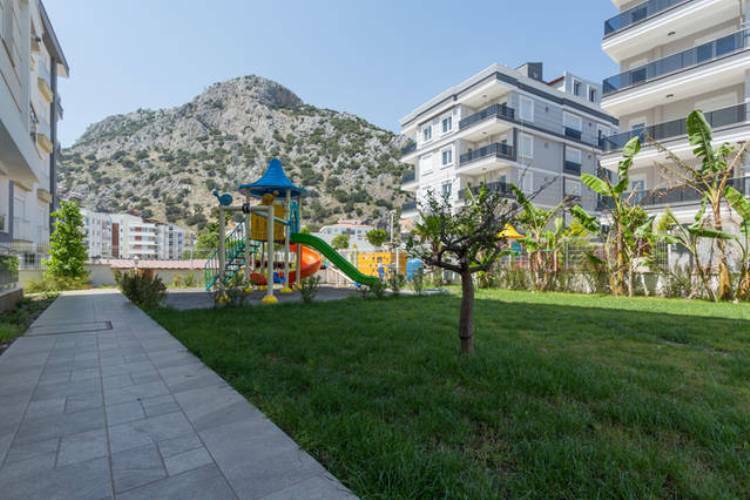 Apartments in Antalya start from as little as £50,000, luxury properties from just £100,000 - surprisingly cheap considering the rental returns and rapidly increasing value of land in the city. There's a broad selection of property on offer in Antalya suiting everyone from those seeking a holiday home to those looking to add value to their portfolios. Konyaalti's 6 km beach is already one of the top beaches in Turkey, it's also the most popular beach in Antalya. The proposed new Konyaalti Coastline Project is unique and ambitious. 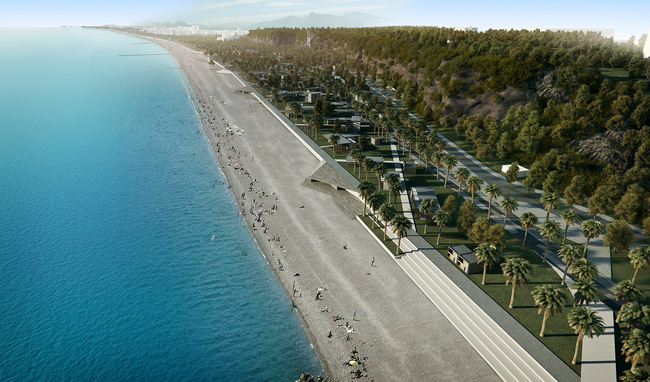 It will extend the beach to 40km making it the longest stretch in Turkey. This project is gaining a lot of attention. Not only will it be environmentally friendly and mostly pedestrianised (hence the award), it will also incorporate the Boğaçay Creek marina, an ultra modern facility sure to attract the rich yachties in their droves. The Coastline Project will include parks, walkways, recreation and green areas with 5,000 new trees planted. The area will be mostly free of cars, although there will be a light metroline linking Konyaalti marina to Akdeniz University and the Markanktala Shopping Centre. A new highway to Kemer will ease the traffic on the coastal road leaving the front stretch clear and peaceful, the ideal place to relax and soak in the sun and surroundings. There's also talk of film studios so large it could rival the likes of Universal Studios in the States. This again raises the eyebrows of the savvy. Antalya is no stranger to change. A slick and modern city it may already be, but it's one keen to stay at the forefront of tourism. The Tunektepe Cable Car was debated and discussed for almost 30 years before the project finally went into development and opened in February 2017. The cable car is the cheapest in Turkey costing a fraction to ride in comparison with others in the country. The cable car has already lured in the tourists, guests from all over the world keen to soak in the fabulous views across Antalya bay from its 618m summit. Tunektepe's top boasts a revolving restaurant and vantage points ideal to attract some Instagram envy. Properties within easy reach of the cable car have already risen in value, investors content with their rental rewards and returns on outlay. Given Antalya's constantly rising tourist numbers and investment potential, prices of property in Antalya are remarkably fair, especially in areas like Konyaalti where there's a flurry of activity and interest. There's a wide variety of apartments for sale, Turkey Homes currently has a two bed penthouse within easy reach of the beach from as little as £79,000, luxury apartments starting from just over £100,000 - see our website for up to date info. If you would like to talk to one of our representatives or to know more about property for sale in Antalya or Konyaalti, please contact Turkey Homes.